Yum, molasses bread?! You lucky girl. Enjoy your family time and tlc! Your hometown visit sounds so idyllic! Enjoy! P.S. Great round-up. But. Why do I always adore the most expensive item?! 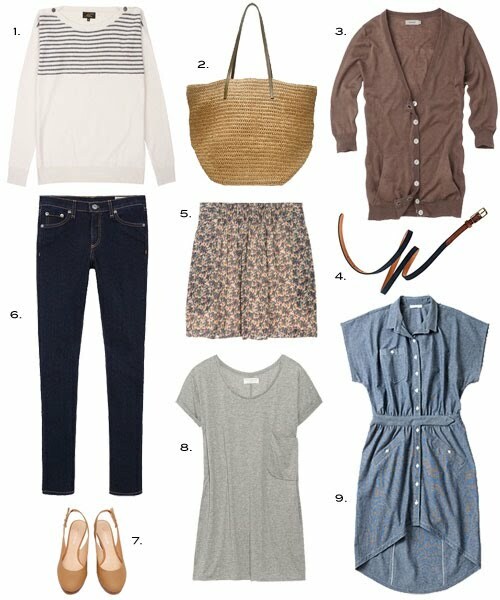 That chambray shirtdress would be MINE if it weren't $$$. Geez. xoxo. Hey You... I hope you had a nice time at home. Sad I didn't get to see you, but I know how it is visiting fam. I love the straw bag -this may be an immediate purchase! I linked up to you today and your smoothie recipes will be coming all week long!